The Bond features 328 residences situated within 44-stories of luxury, attracting a residents throughout the Americas and the world. Inspired by the best of classic British elegance and appointed with modern day amenities, The Bond introduces a new standard of cosmopolitan living to Brickell. Million and Up Realty Miami LLC. Restate Group Founded by Matteo Cornali. Restate Group is renewed developing and managing real estate properties in the most profitable international markets, currently focusing its expertise in Florida, Usa and constantly expanding. Hours of Operation: 7:00 AM - 11:00 PM Languages: English, Spanish, Portuguese Icon Brickell condo in Miami has three towers; tower 1 offers views of Downtown Miami, the Miami River, Biscayne Bay, Brickell Key and the Miami Beach skyline. Tower 2 rises 57 stories and has 561 units in total. Tower 3, also known as the Viceroy Tower, rises 50 stories and has 520 units in total. Residences offer amazing views & urban designed floor plans. Amenities include; coffee shop, chess room, park terrace, billiard room, theater room, poker room, fitness center, spa, infinity pool. Common areas were inspired and designed by Yoo by Philippe Starck. The building is surrounded by two parks, Biscayne Bay and Brickell Avenue. Units from $270k. 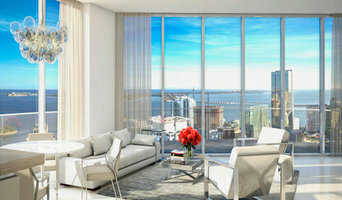 Find more information at: <a rel="nofollow" target="_blank" href="http://www.iconbrickelll.com/">http://www.iconbrickelll.com/</a> This project offers these types of luxury residences: Unit #710 475 Brickell Av, 546 Sq Ft PRICE $270,000 Unit #3605 485 Brickell Av, 495 Sq Ft PRICE $299,000 Unit #2407 475 Brickell Av, 1920 Sq Ft PRICE $770,000 Unit #4110 495 Brickell Av, 1327 Sq Ft PRICE $899,000 Unit #3201 495 Brickell Av, 3524 Sq Ft PRICE $3,400,000 Unit #4601-2 495 Brickell Av, 1870 Sq Ft PRICE $4,000,000 Million and Up Realty Miami LLC. 400 Sunny Isles is located on 640 feet of bay front property just off of the 163rd Street Bridge, meaning every single unit has expansive and unobstructed direct water views. Residents of this exclusive condo will enjoy the luxury of being just a short walk or ushered beach buggy ride away from the Ocean and Oleta State Park. The sound of water cascading down stone walls welcomes residents to the main entrance. An open-air breezeway runs through the core with exotic woods and ponds of koi fish adding to the dramatic glass frame that surrounds the exceptional views at the center of it all. 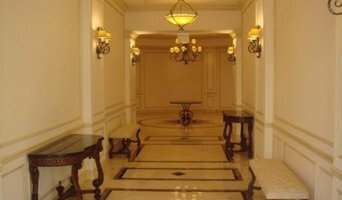 Find units in this exotic luxury condominium with avg. 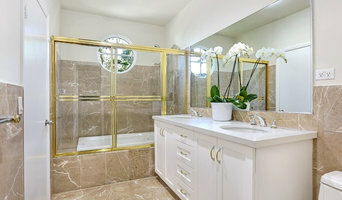 price $1.4M, full availability list at: <a rel="nofollow" target="_blank" href="http://www.400sunnyisless.com/">http://www.400sunnyisless.com/</a> Million and Up Realty Miami LLC. Hours of Operation: 7:00 AM - 11:00 PM Languages: English, Spanish, Portuguese 5300 Paseo is a new residential address that epitomizes chic, connected living in the heart of Doral. You’ll instantly fall in love with the exquisite aesthetics and amenity-rich atmosphere of these unique city residences. Spacious, open floor plans allow for effortless flow between rooms and living areas, perfect for entertaining. Likewise, floor-to-ceiling windows and balconies maximize natural light and picturesque vistas of parks and golf courses. Million and Up Realty Miami LLC. Rising 40 stories above bay waters, the sleek and stunning Carbonell makes a towering architectural statement. Everything from granite kitchen countertops to stainless steel appliances, wine coolers and marble vanities can be found in the welcoming residences of Carbonell. 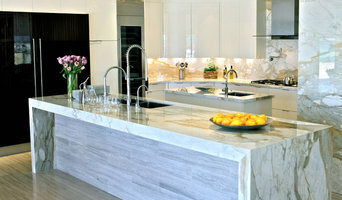 It is the perfect balance of art, design, space, and privacy. Views without end, separation without distance, luxury without compromise. Million and Up Realty Miami LLC. Hours of Operation: 7:00 AM - 11:00 PM Languages: English, Spanish, Portuguese Set along South Florida’s sparkling Intracoastal Waterway, Hyde Beach House welcomes residents with a beautifully landscaped double-volume porte cochère featuring contemporary reflecting pools with lively waterfalls. Complimentary valet parking and 24/7/365 personal concierge service ensure that every need and desire is attended to with every arrival. With on-demand services, you get everything you need all day/ every day in just one single touch. Residences have been designed for life without limits, these units blur the lines between indoor and outdoor living with wide private terraces, spectacular floor-to-ceiling window walls, and contemporary open-concept layouts. Units from $691K. Million and Up Realty Miami LLC. Casa Verde is a modern boutique residential development coming to prestigious Bay Harbor Island. The chic midrise condo will count with only 7 floor and only 30 exclusive furniture ready residences delivering a pleasing sense of privacy and seclusion. This architectural masterpiece features a very sophisticated façade and it provides residents with the highest-standard fixtures and finished through every space of the building. Designed by Frankel Benayoun Architects, Casa Verde features a very convenient setting in Bay Harbor close to Bal Harbour, Miami Beach, Indian Creek, and a world of prime restaurants, shops and schools. What is more, the chic condo offer upscale amenities including a roof top pool, a wellness center and green spaces on every living level. 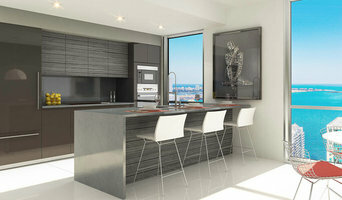 Find amazing units for sale at $ 718,000 and more info at: <a rel="nofollow" target="_blank" href="http://www.casaverdecondo.com/">http://www.casaverdecondo.com/</a> Million and Up Realty Miami LLC. Real Estate is a complex and dynamic area of work that demands experts to stay informed about rules and regulations as well as the Miami, FL market. As you can imagine, agents and brokers vary as much as the properties they sell. You'll need to be as savvy in selecting a realtor as they are in getting you the best price. When you're looking to buy a home, a buyer’s agent represents a home buyer or seller in a real estate transaction. A buyer’s agent will find Miami property listings that match your needs, works with the seller’s agent to schedule showings and accompanies you on visits to tour the home. If you’re interested in the house, the agent handles price negotiations and other terms of the sale, and coordinates the appropriate paperwork. If you are engaged in a home sale, a seller’s agent will help you determine a listing price for a Miami, FL property and can suggest repairs, upgrades and staging ideas to boost the home’s appeal. He or she is in charge of marketing the house to prospective buyers and other agents through signage, websites, print ads, open houses and other methods. As with a buyer’s agent, a seller’s agent represents you in negotiating the sale.